The Connecticut Insurance Law Journal is the world’s only academic law review dedicated exclusively to the publication of original research on the law relating to insurance, risk and responsibility. Since its founding in 1994, the Journal has succeeded in attracting articles that are theoretically sophisticated and of practical importance. 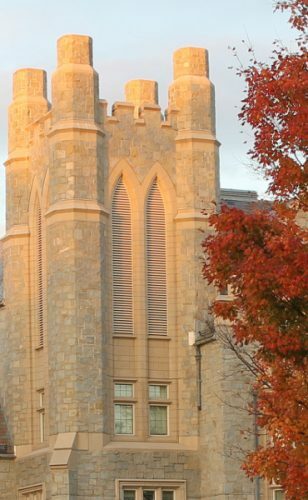 Since 2008, the Washington and Lee University’s survey of law journals ranked the Connecticut Insurance Law Journal as its top rated periodical for insurance law. The Journal continues to publish such recognized insurance law scholars as Jeffrey W. Stempel, Lawrence O. Gostin, Kenneth Abraham, Jeffrey O’Connell, William F. Young, Alan Widiss, Kent Syverud, Charles Silver, Ellen Pryor, Robert Jerry II, and James Fischer, as well as newcomers such as Aviva Abramovsky, Seth Chandler, George Cohen and David Hyman. The Journal has also published work by practicing lawyers such as William Barker, Douglas Richmond and the Insurance Law Center’s own Robert Googins and John Day. Founded and edited by University of Connecticut law students, the Journal serves an important educational function as well. Students work closely with faculty to solicit and select articles for publication. Students work closely with authors to prepare articles for publication. Students also write and edit their own Notes and Commentaries for the Journal. Insurance LL.M. students are encouraged to submit their theses for publication and to participate in the editorial and publishing functions of the Journal.